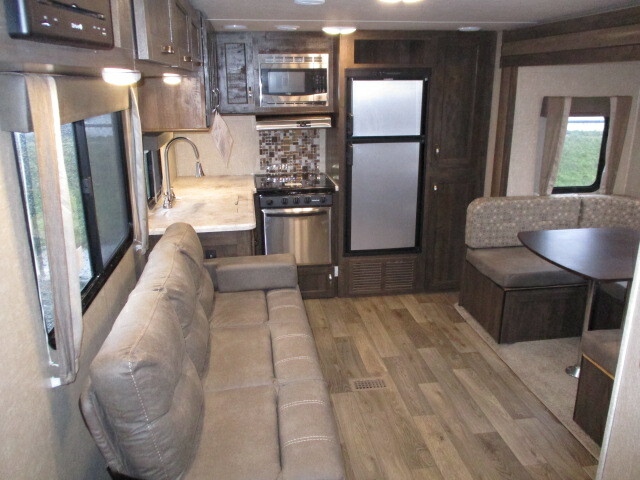 This versatile floor plan sleeps 6 and works for everyone! 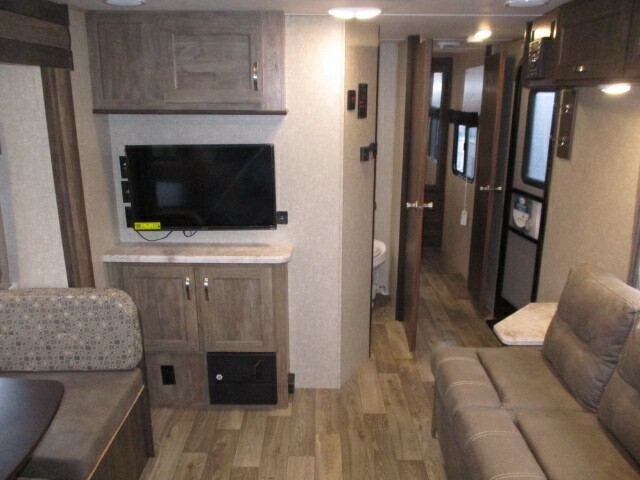 Couples, families and is a grandparent’s favorite. 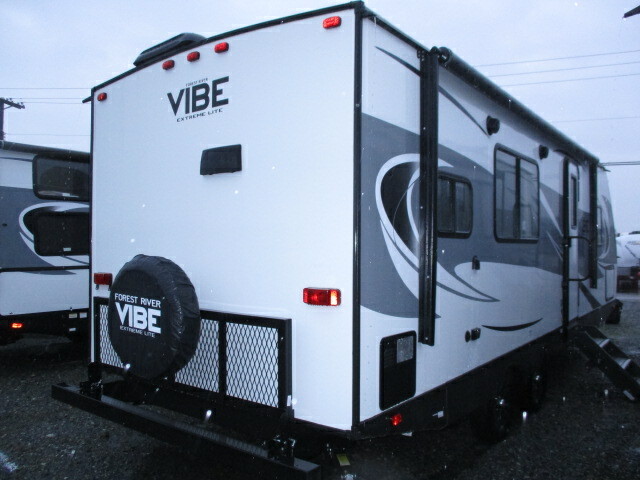 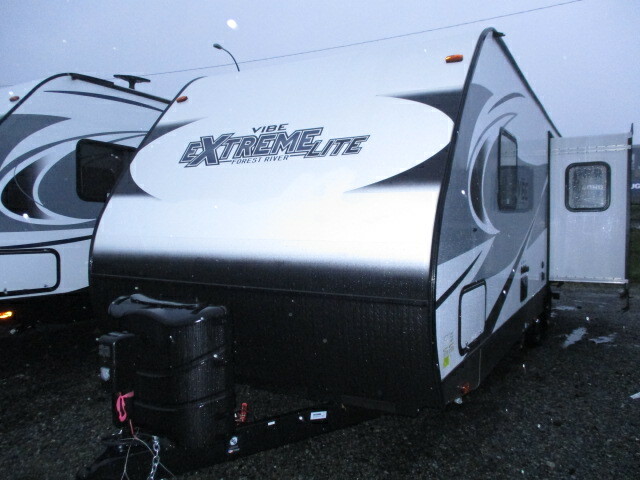 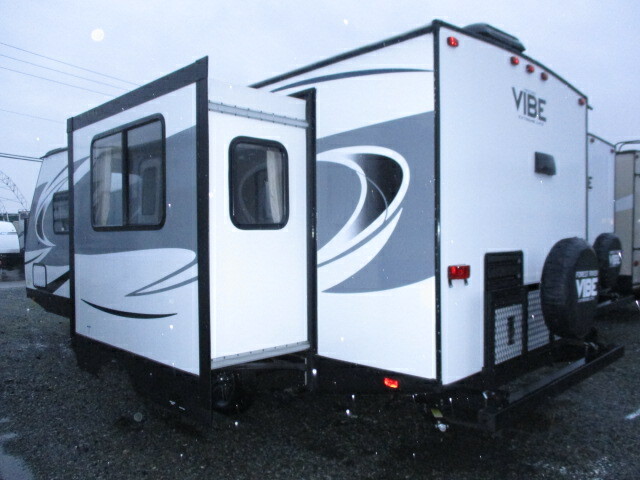 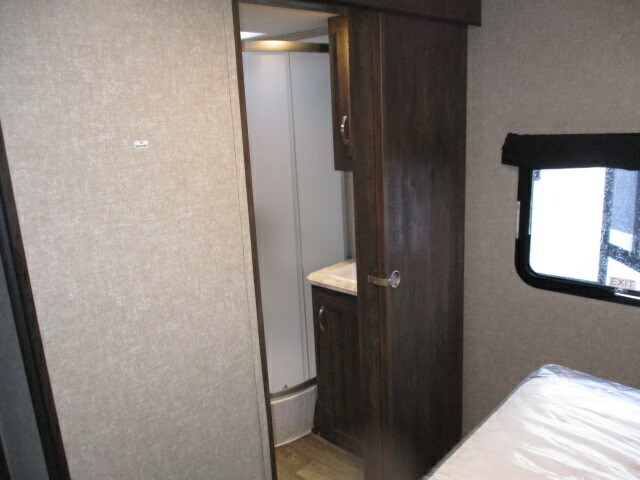 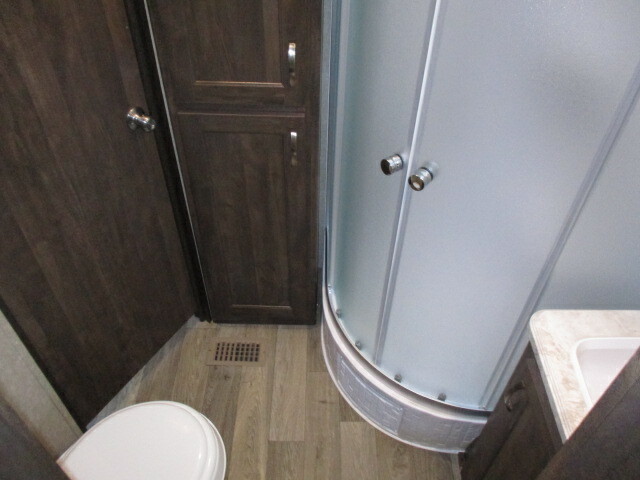 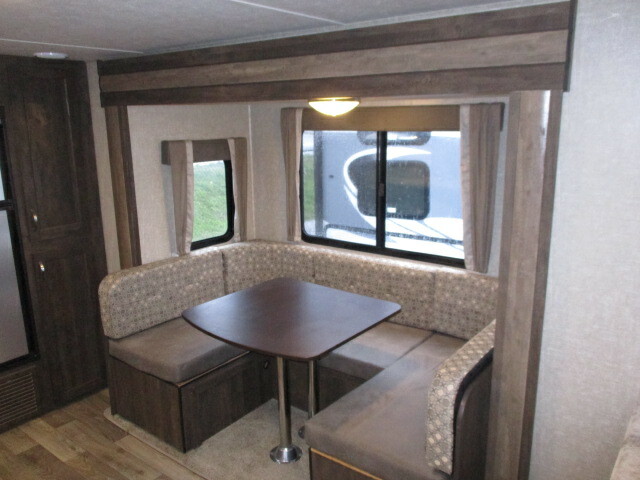 This Vibe travel trailer has a fantastic conversational area with the sofa across from the dinette. 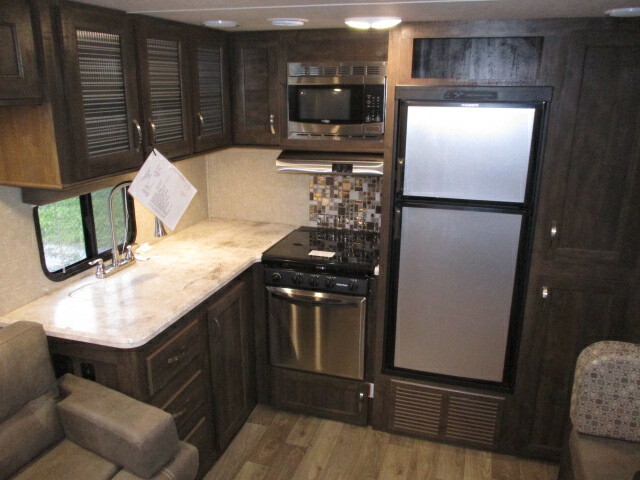 Tons of counter space and a bathroom right by the entrance door. 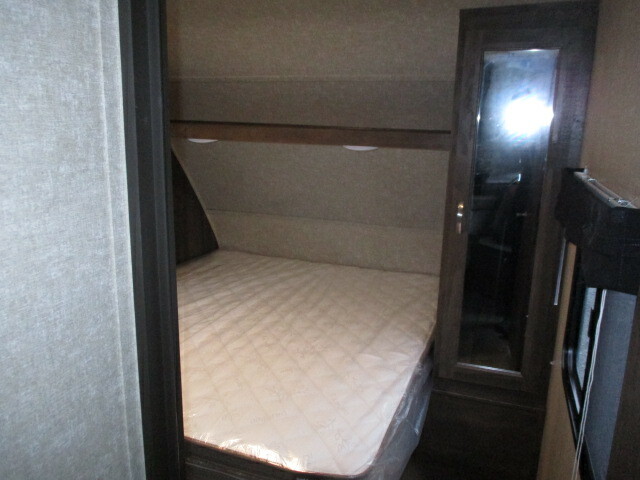 A hubby making an early coffee in the kitchen won’t wake up his spouse sleeping in in the separate master bedroom!